Kurt Baumann with just one of his $10k Million Dollar Fish! There’s been some amazing things happening in Season 2 of Million Dollar Fish. The event kicked off on October 1 and already there have been SIX of the $10,000 fish caught! The event closes at the end of February 2017. The most recent barramundi was a 77cm barra caught at the Daly River on Sunday October 16 by Nikita Jason from the Daly River. 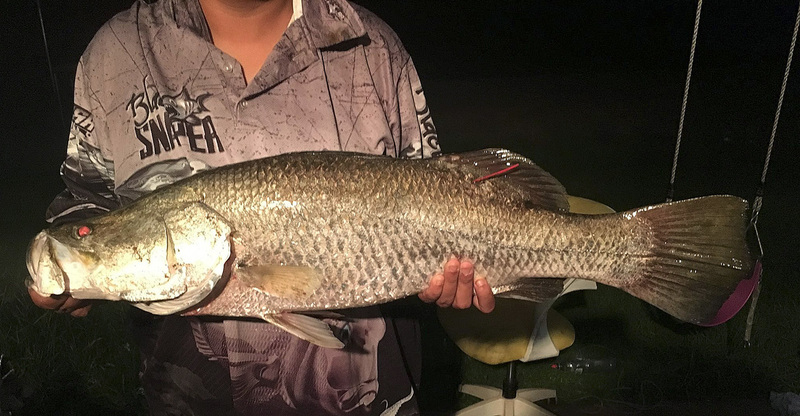 Ms Jason’s partner Kurt Baumann is a previous winner who caught a $10,000 barra earlier this month in the family’s favourite spot, as well as a $10,000 barra in Season 1. “I was overwhelmed when I saw the tag, I just couldn’t believe it,” Ms Jason told Tourism NT. “I don’t go fishing regularly, but my partner Kurt fishes for our family every day. When asked what her lucky charm was, Ms Jason said it was her children. CrownBet CEO Matt Tripp said the regular return of Million Dollar Fish red tags was no surprise. “How can we be surprised? It seems along with the best fishing locations in Australia the Northern Territory also has the best recreational anglers,” he said. 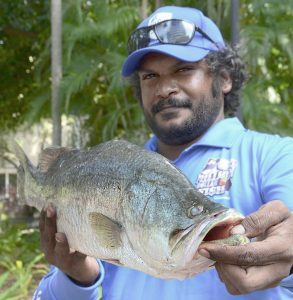 In Season 2 of Million Dollar Fish, 101 barramundi were tagged and released across the Territory with 100 carrying $10,000 cash prize tags. Don’t despair if you haven’t caught one as there are still 94 $10,000 barra out there and the prized million dollar fish is yet to be caught. And you have until February 28, 2017. Participants must register online at www.milliondollarfish.com.au.